MyMemories Blog: Today's Daily Designer is.....MagicalReality Designs! 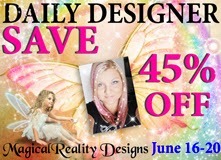 Today's Daily Designer is.....MagicalReality Designs! 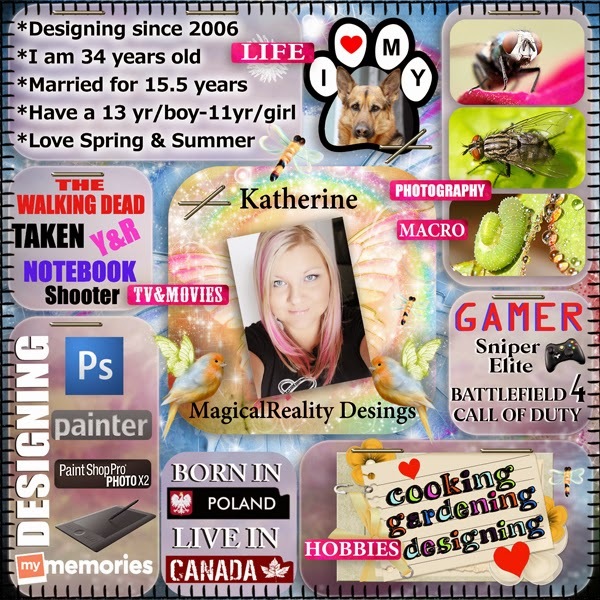 I am Katherine aka MagicalReality Designs. I am a 34 year old Libra, married for 15.5 years and have 2 amazing children, son will be 13 this June 18th, and a daughter who will be 11. I have been a designer since beginning of 2006. My main "signature" style is mostly fantasy/fairy type things and very magical, but I do offer other style too, so you can always find something you like. I feel very blessed to be able to design and still stay at home to raise my kids. In 2005 I finished school for police sciences, criminology and legal assistant but the passion and obsession for photography and digital graphics just took over my life..ha ha . I am a full time mom, wife and designer. I was born in Poland (Warsaw) and came to Canada (Ontario) at the age of 9 so English is my second language. Something that most people don't know about me isthat I am a MAJOR xbox online gamer!..lol. I am addicted to playing Call of Duty MW3, and Battlefiled 4. My kids friends are shocked to hear that but my kids brag that they have the coolest mom! I would also like to take this opportunity to THANK YOU for all your support in my designing, you wonderful emails, comments and pages you've made using my designs, so during my Feature I invite you to SAVE 45% on my whole shop from June 16 - June 20. Thank you again and have a Blessed week!